Four members of the Costa Blanca club and their wives attended the first ever Cluster meeting in Mallorca. The scrupulous travel arrangements were quickly undone when the car in which four of them were travelling stopped in Ondara for two of the occupants to post letters. One of the white envelopes to be posted was left on the dashboard. All eight tickets for a 3.35pm flight from Valencia to Palma, also in a white envelope, had just been posted in error. What could they do now! manifest, arranged for the check-in desk to remain open and the plane to be delayed, enabling them to buy another set of tickets, and board the ‘plane. Their original tickets were eventually returned to the travel agent together with a refund. In addition to members from the Algarve and Gibraltar, one of our non-res members Len Jones brought a contingent from his home 41 club Long Eaton. We met all the members of the Mallorcan club and their wives and enjoyed a very full programme which went a little astray when a minibus did not turn up and half the party got stuck in a train tunnel due to leaves on the line! ​​During the visit, Tony ‘took some time out to discuss with National President David and Secretary Geoff, together with Ken Evans from Mallorca, the future of Mediterranean Cluster meetings. Costa Blanca had by far the largest membership, and although travel was not difficult between the Algarve, Gibraltar, Mallorca and ourselves, it was a bit of a problem with Cyprus and Malta. Lisbon and Jerusalem were being formed, and we were invited to a Charter Night in Romania’. Despite the ‘no more than once a year agreement’, our hosting debut was also our Charter Anniversary in March 1994. Initially there were more visiting members and their wives than we could host, but in the end, we hosted four couples from Mallorca, two from the Algarve and the National President and Secretary from the UK. In addition there were some ex-Tablers from the UK and Meaux in France. 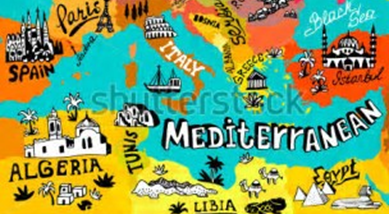 The future of the Mediterranean Cluster was discussed, with the main topics being why Gibraltar could not attend; the costs of travel and hosting; and the frequency of the meetings. An invitation from the Algarve for October 1994 was accepted, where it was hoped that Gibraltar would attend and invite us all there in 1995. Our younger energetic member, David Noakes, won the Mens Doubles in the L’ncora Open Tennis Tournament in Javea, and was runner-up in the Mixed Doubles Final. New resident Alan Anderson has been a member of many Tables throughout the globe and wife Val is a past National President of Ladies Circle. Ian Ritchie became the first new member to send an application form by fax. He and wife Carol are having a house built in Calpe, and over welcome drinks received about six different views on how best to proceed, from resident members. This is the seventh of a series of articles on the history and development of the Costa Blanca 41 Club. It is being compiled from a large number of newsletters recovered from files held by Tony Ogden, who played a major part in the development of the Club and later in the development of the group of clubs now known as the ‘Iberian Cluster’. All the text above in italics is directly quoted from newsletters published at the time, and the web posting and additional illustration images are provided by Gordon Macnab.